We were talking about it on Linkedin a few weeks ago, but fabricators, installers and systems companies are all saying the same thing – colour is still one of the fastest moving trends in our industry in 2018. 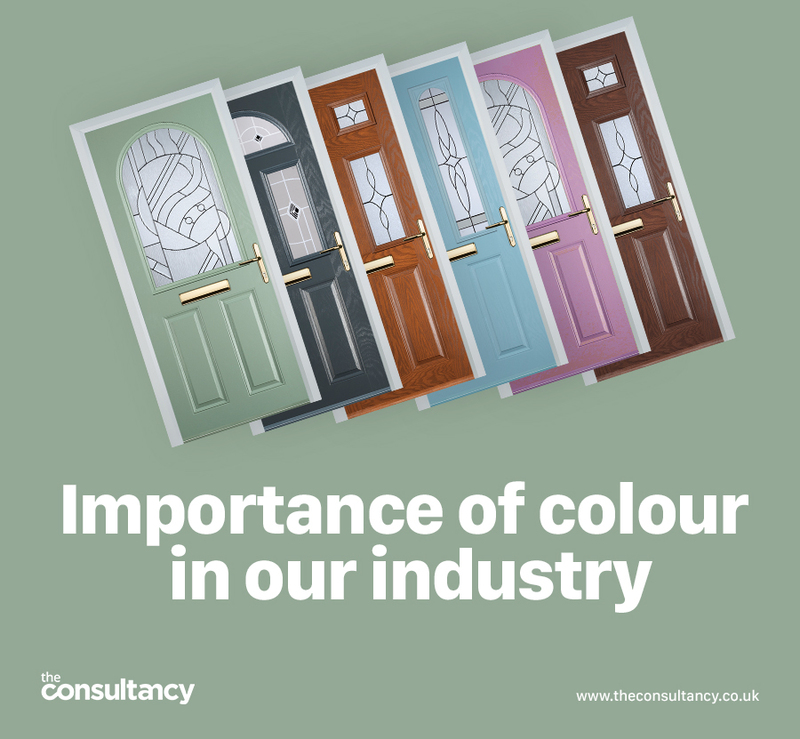 Whether composite door manufacturers moving the conversation forward with aluminium look alike products and increasingly vast colour ranges, or systems companies battling it out for pole position when it comes to delivering coloured profile fast, colour remains high on the agenda. As an industry we’re delivering colour on all fronts, but consumers are driving the demand for it. Homeowners living in housing estates that are now 5-10 years old are getting bored of the sea of white front doors and want to stand out from the neighbours with bright and bold colours. But how important are the colour choices we make in and on our homes? What do our choices tell our friends and neighbours about us? London estate agent Marsh & Parsons teamed up with international colour consultancy, Pantone, to carry out research on what the choice of front door colour can suggest about the type of person living inside the home. Here are some of their findings so you can see what your choices say about you..
Green: a sign of loyalty and affection. More pastel tones of green like Sage suggests a calm home within. Black: timeless and traditional, a choice that represents creativity. Elegant, powerful, and prestigious, it will never go out of fashion. Yellow: a bold choice that shows a friendly and nurturing attitude, warm and welcoming. Grey: suggesting a subtle, stylish homeowner, grey is a timeless and classic colour choice. Red: represents a touch of glamour and intimacy, but also suggests a personality that is commanding, dynamic, and engaging. Blue or Lavender: introverted by nature with a desire for a home that’s like a private oasis. Blue symbolizes strong qualities like trust, loyalty, wisdom, confidence & intelligence. Dark Blues: Authoritative and trustworthy, they suggest someone strong and stylish who likes classic designs. Cream or Neutral: shows someone is likely to be practical in nature. Pink: a hopeless romantic. But, also someone who is either an exhibitionist, or thoughtful, cheery and generous. So, we’ve established colour is important and on trend, but how can we maximise on this opportunity? Door designers are a great way of allowing homeowners, and the installers selling to them, to visualise what a new front door would look like with all the fixtures and fittings on the coloured door of their choice. We all do it don’t we, when we’re specifying something new for our home, whether a new kitchen, bathroom, or front door, we pick bits we like from others and try and piece them together to create our own dream. A well-produced door designer can guide homeowners through the decision-making process, allow them to experiment with what they like and what they don’t like and in doing so, encourage them to engage with your company online. At The Consultancy we have a lot of experience in creating customised door designers for some of the market leading composite door suppliers and their customers. We make the process hassle free for our customers with the technical side of things taken care of by our skilled team of developers. We do the hard work behind the scenes, so that you’re free to process all the leads that come flooding in as a result! If you would like to find out more about giving your customers access to an easy to use door designer tool, contact us today.